My mom says don’t open the door to the devil. Surround yourself with positive people. by Cuba Gooding, Jr.
Last week I put out my second call for input on the idea to plan an annual “yard sale” event and I did receive some valuable and useful input. THANK YOU for taking two minutes to respond. The results indicate strong support for “doing something” in unity for the Learning Center. There is agreement among those who responded that a yard sale, using Craig’s List, or eBay all may work and be different methods to achieve the same results. From here, I will begin to work with two or three “Friends” to begin discussions on how we will try to launch this project in the Spring of 2017. I will periodically update all “Friends” on our progress. funded students, competing on the 4th, 5th, and 6th grade levels. Each student deserves our support and best wishes since they represent Copey, the Learning Center, and our scholarship support. They also deserve our support because they represent the values we all place on education in general. We will keep track of their progress this week and report next week on their results. As I mentioned in last week’s Post, there is an ongoing string of “good news” being reported on while several other actions are not yet ready to be announced. One “good news” developing this week is an approval to enter into another project with REI and our Kiwanis Club in support of a training program. We did this in July and raised money for the Learning Center. We now may have another chance to repeat this project providing a second opportunity to raise funds. 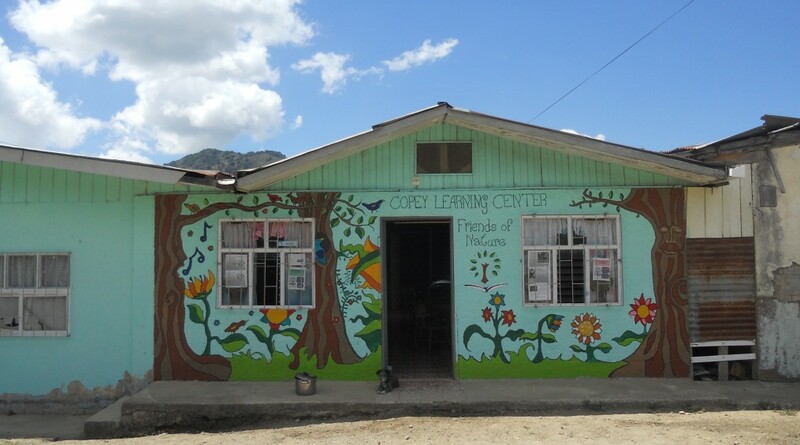 This is also “good news” because it allows for us to continue building strong working relationships with other groups/businesses and opportunities to share the story of “Friends of Copey” and the Learning Center. Another “good news” item is “Friends” being in great shape to move forward with plans to invite two more students from Copey to travel to Emory & Henry College next June. We can credit Noelia, Celeste, and Angela for being such great representatives of the Learning Center and Copey. They made a tremendous impact on the hundred or more people they met and interacted with during their visit. Financially, we have a very good start towards meeting the funding requirements needed to have another successful trip. As stated earlier, there are other developing “good news” items waiting to be shared but I am not ready to reveal them yet. It is just too early but we believe things are tracking well and our chances are reasonably good things will work out. However, it is very obvious that we are having a wonderful year and that we are enjoying a lot of success in seeking and finding ways to support the Learning Center. This is fun, positive, productive, and successful. I thank all of you for what you do, think about, and pray for. There is much for you to be proud of and excited about. All eyes should be on our progress in 2016 and the shaping of things to come in 2017.